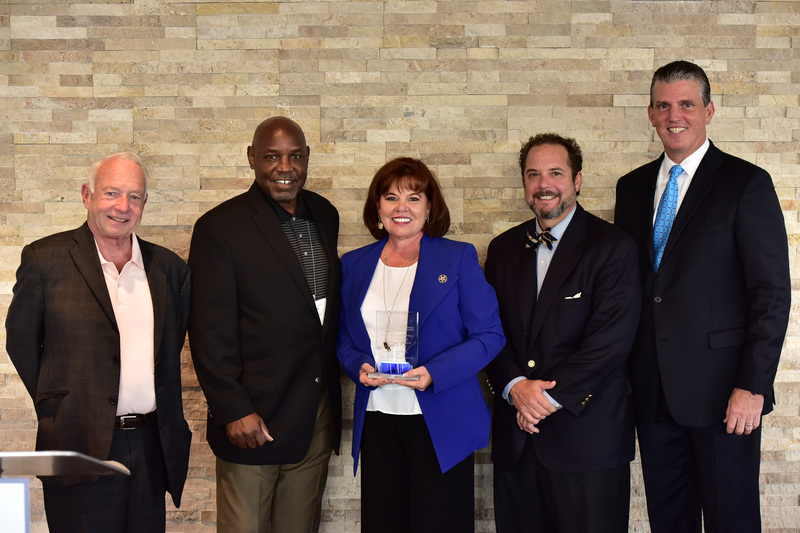 DALLAS, TX – The Center for Alcohol Policy is pleased to announce that Sherry Cook, executive director of the Texas Alcoholic Beverage Commission (TABC), is the recipient of the Fourth Annual Leadership in Alcohol Regulation Award. The award, which recognizes a specific program, agency or person who oversees the alcohol industry and promotes public safety, was presented by the Center’s Advisory Council at the Ninth Annual Alcohol Law and Policy Conference, taking place at the Dallas Renaissance Hotel in Dallas, Texas. Director Cook oversees an agency with more than 600 employees, a biennial budget of more than $95 million, $200 million in annual revenue collections and a licensing system covering 73 different types of licenses among more than 50,000 licensed businesses in Texas. She has worked tirelessly to modernize the efficiency and operations of the TABC as well as the inter-office coordination for a large and diverse state. As an example of Cook’s commitment to improving the agency, she has implemented a statewide reorganization of the agency’s leadership structure. The reorganization better distributes the agency’s manpower and resources in line with the demands of evolving public safety concerns, increases in the state’s population and a growing alcoholic beverage industry. Director Cook has made public education a key focus of the TABC and has recognized that the public needs to have more facts about alcohol and its potential for misuse. Under her leadership, the Texas ABC implemented 2Young2Drink, a web-based education program aimed at school-aged students and their parents, which highlights the dangers of underage consumption of alcoholic beverages. Read biographical details for the Center for Alcohol Policy Advisory Council members.